The Strand family founded Wildlife Explorer back in the early eighties and in doing so set about re-creating the Traditional Luxury Tented Safari. Based on the style of a bygone era, tents and vehicles were redesigned to reflect modern expectations whilst the mood and charm of the original Safari experience was maintained, mingled with more than a little fun! Today Gary & Jo Strand, Marianne Denoix de Saint Marc, daughter Hannah Strand and a team of professionals, continue the tradition of bespoke safari planning and outfitting, offering exclusive journeys across the continent of Africa. 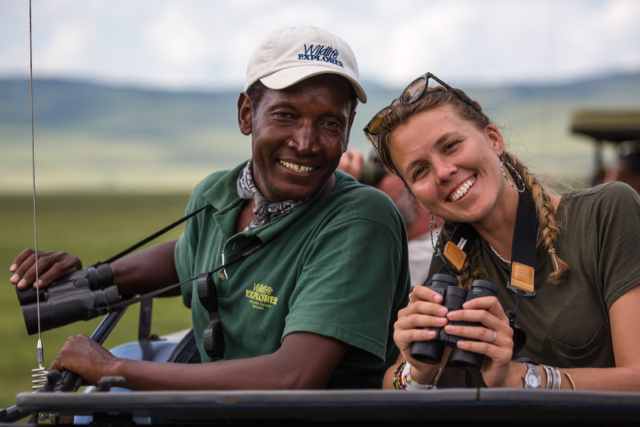 Guides and highly trained Camp-Crew including Chefs, Waiters and Tent Stewards all endeavour to make a Safari with Wildlife Explorer the adventure of a lifetime.